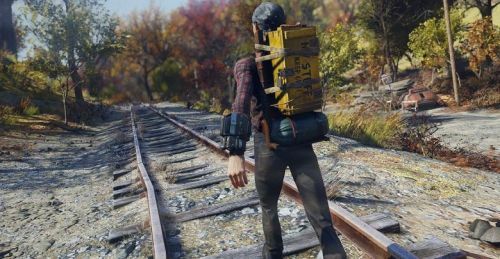 Loyal players of Fallout 76 have been eagerly awaiting the drop of Bethesda's Wild Appalachia Update for some time now. The company revealed the content drop back in February along with several updates that would be taking place in the coming months. Bethesda has a lot of plans for both the PvP and PvE side of Fallout 76. While players await the PvP focused Survivor Mode, set to release on March 26th, they'll be able to experience all-new adventures in the Wild Appalachia, although it may be a day later than originally advertised. Back when it was announced, Bethesda revealed that the DLC would be available on March 12th. The announcement also announced several new features being implemented over the coming months, including several new vendors and the first seasonal event in the game, the Fasnacht Parade. However, today Bethesda revealed that Wild Appalachia would have to wait until Wednesday. We are moving the release of Wild Appalachia back one day on all platforms. We just need a little more time to brew. Experience the new quest, crafting station & much more starting now on March 13. With Fallout 76 suffering quite a few issues since its release, including a multitude of bugs and several graphical glitches, it seems that the Fallout team is doing what they can to make sure the new content releases at 100%. Waiting one extra day isn't terrible, especially if Bethesda is just making sure that they're ready for launch. 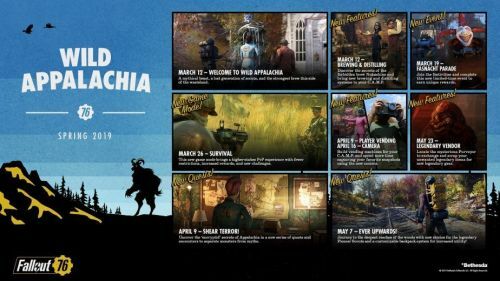 And with Wild Appalachia and Survival mode on their way, Fallout 76 fans have a lot to look forward to this month. Are you more excited about the PvE or PvP content? Let us know in the comments below!